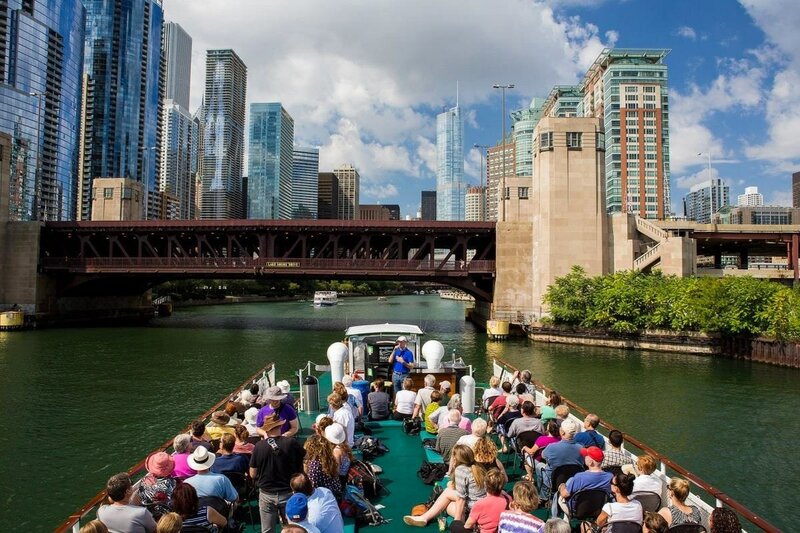 ​Enjoy the company of your Angle Family amidst the city’s distinctive skyline on this leisurely 90 minute professional docent guided Architectural River Cruise. You will experience the city of Chicago in a unique way … from Bauhaus to Art Deco and Neoclassical, famous architectural styles will greet you at every turn. Marvel at the soaring towers of Chicago’s Loop while enjoying sparkling river vistas. Throughout the cruise, your guide will share the rich history of perhaps America's most architecturally important city. This complimentary event includes round trip transportation from The Drake.